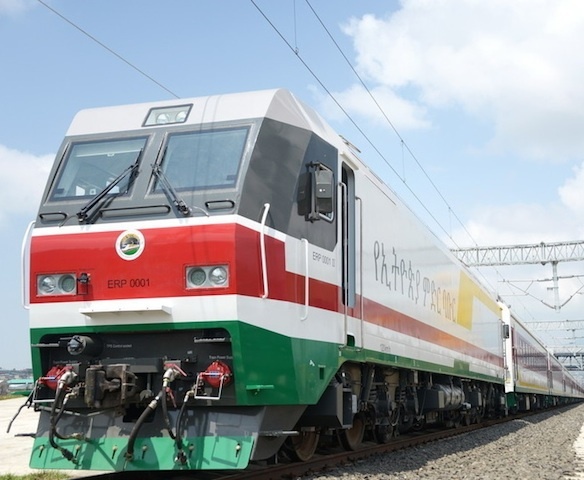 Ethiopia will on Wednesday launch Africa’s first modern electrified railway line which will link the Ethiopian capital, Addis Ababa with the port of Djibouti. The full length of the railway is 752.7 kilometers, with a designed speed of 120 km per hour. With a total investment of $4 billion, it is was built by China Railway Group and the China Civil Engineering Construction Corporation (CCECC). The modern standard-gauge Addis Ababa-Djibouti railway runs parallel to a decrepit meter-gauge version built over 100 years ago by Europeans. Over 90% of Ethiopia’s imports and exports, in particular energy and food, are made via the sea port of Djibouti. The capacity of the current road system has long been overwhelmed. The Addis Ababa-Djibouti railway is only one of many major projects currently under way in the framework of China-Africa cooperation. To protect its precious wildlife resources along the railway, the Ethiopian government set a high environmental protection protocol. To meet these high ecological standards, the Chinese companies did their best not to alter the original landscape along the railway. They also spent more than $4 million to build overpasses specially designed for safe animal crossover.